Sivakarthikeyan had announced about his next project in a unique fashion a few days back. This project to be directed by newbie Bakkiyaraj will be funded by RD Raja for 24AM Studios. The project boasts of the crème de la crème of the industry with PC Sreeram handling camera, Anirudh in charge of music, Oscar winner Resul Pookutty for sound design, Ruben responsible for cuts and Anl Arasu taking care of stunts. An important aspect about the film is the involvement of Weta Workshop for makeup. 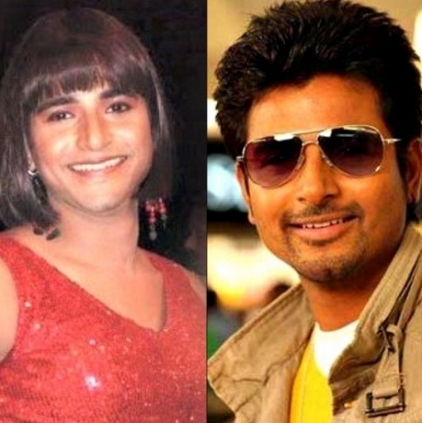 Sources inform behindwoods that this is majorly for Sivakarthikeyan’s getup as he is expected to appear in a lady getup. Heroes appearing in a lady getup are normal in films but the specialty reported about this film is that one cannot make out that it is Sivakarthikeyan who is in a lady garb. That’s precisely why Weta is said to have been brought on board. The shooting of this film is touted to begin from November and looks like Sivakarthikeyan is all geared up to entertain his audience. Sivakarthikeyan's Next Biggie Belongs To The Rom-com Genre. People looking for online information on Bakkiyaraj Kannan, Sivakarthikeyan, Weta Workshop will find this news story useful.